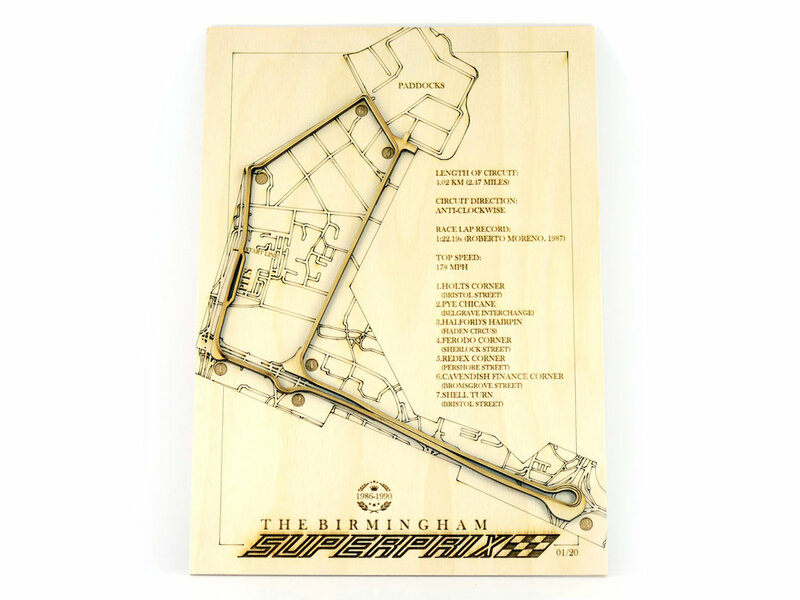 We were approached by the Birmingham Superprix Project to collaborate on product to help promote the work they are doing in documenting and celebrating the Birmingham street races during the late 1980’s. We were commissioned in 2018 to create a product as a limited edition release for the 32nd anniversary of the very first race. We developed a lasercut race circuit artwork that depicted the original race track through the streets of Birmingham. Details and information about the track and race statistics that the Superprix team had collected were used to annotate the artwork creating an original piece of artwork for the anniversary celebrations.